One Community Health's patients, Chelan Harkin and her baby, Amari. Molly Fauth, MD, holds newborn Amari Harkin. The tiny fingers of Baby Amari Harkin. For Chelan and Noah Harkin, finding the right doctor to oversee Chelan’s pregnancy and the birth of their first child was very important. In fact, after learning she was pregnant, Chelan (pictured left) took careful pains to visit with various local doctors to find that “perfect fit.” But, instead, she found this wasn’t easy. A friend recommended Molly Fauth, MD and Orlando Acosta, MD of One Community Health (OCH). Preferring a female provider, Chelan booked an appointment with Molly. However, first, she met with Vicky Valle, community health worker, and Delfina Reyes, community health worker, who offered her support through the OCH Perinatal Program. Hoping for a natural delivery, Chelan told Dr. Fauth she wasn't completely opposed to interventions, but it wasn’t her ideal vision of childbirth. Dr. Fauth totally supported her birth plan for a natural delivery, but when the baby was two weeks past the due date, a discussion around an intervention was in order. Dr. Fauth kept popping in to check on Chelan. That Friday, still nothing had changed with the baby. As his heartbeat remained strong, the provider suspected the head was too large to interact with the cervix, thus was not triggering labor. A Cesarean section was recommended at which point Chelan burst into tears of initial disappointment. However, when they found out it would take only about 45 minutes to prepare for the surgery, Chelan and Noah took comfort in not feeling pressured or rushed to make a “flash” decision. The vital nature of the situation had been clearly communicated without any negative, judgmental pressure from the provider. The couple still felt in control and hopeful. Tired, feeling miserable and worried, Chelan knew it was Friday and that the staff would switch out for the weekend. Realizing Dr. Fauth wouldn’t be available if the birth happened over the weekend concerned her—having this provider deliver the baby mattered more than ever to Chelan and Noah. The laughing and joy didn’t stop there, however. While on the operating table, Chelan felt giddy and kept expressing her appreciation and gratitude. No doubt, Amari’s head was a bit large and his delivery wasn’t exactly what the couple had envisioned but—like their provider Dr. Fauth—this baby was and always will be a “perfect fit” for this exceptionally grateful family. 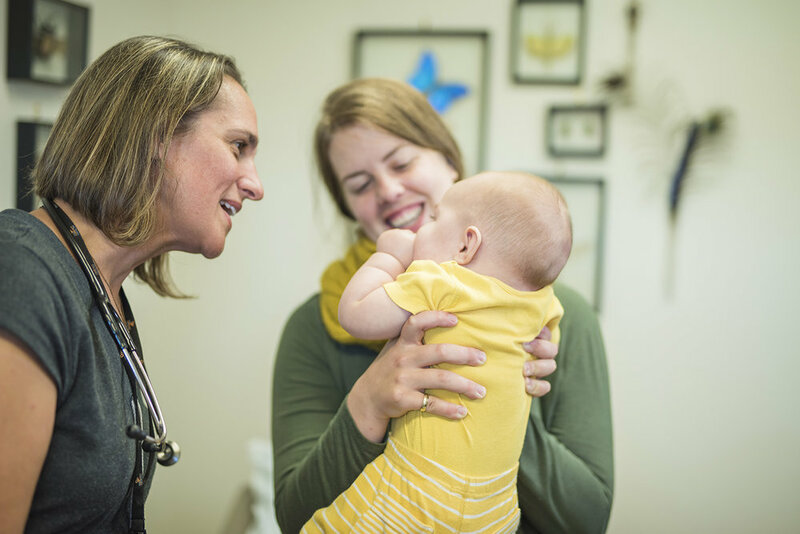 UPDATE: Chelan and baby Amari caught up with Dr. Fauth during a photoshoot for One Community Health's website in September 2017. INTERPRETATION SERVICES: We are bilingual (Spanish/English) and offer interpretation services for other languages, too. 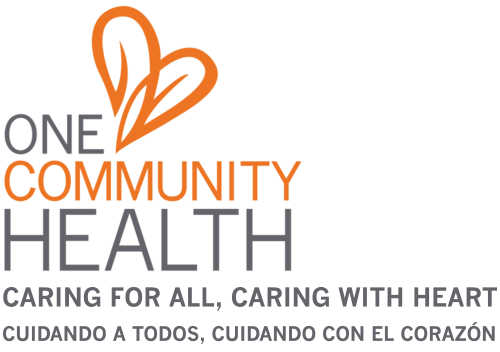 One Community Health receives U.S. Department of Health and Human Services funding and has Federal Public Health Service deemed status with respect to certain health or health-related claims, including medical malpractice claims, for itself and its covered individuals. One Community Health © 2018 All rights reserved.